Dr. Ali A. Askari M.D. (Prescott) - Book Appointment Online! Dr. Ali A. Askari M.D. 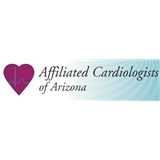 Welcome to Affiliated Cardiologists of Arizona. We hope that this information is helpful in acquainting you with our physicians, staff, and services. Affiliated Cardiologists of Arizona was founded in 1972 as Affiliated Cardiologists when a group of highly-reputable and respected, board certified physicians from the Arizona medical community joined together to provide high quality consultative cardiology services to a burgeoning Phoenix population. Over the next thirty-five years and more, we have grown to not only serving the Phoenix metropolitan area but expanding our reach to citizens in outlying Arizona communities such as Maricopa, the West Valley, Lake Havasu, and Flagstaff. I'm very happy with the care I received from the doctor and staff. Everyone was very friendly, knowledgable, and helpful.